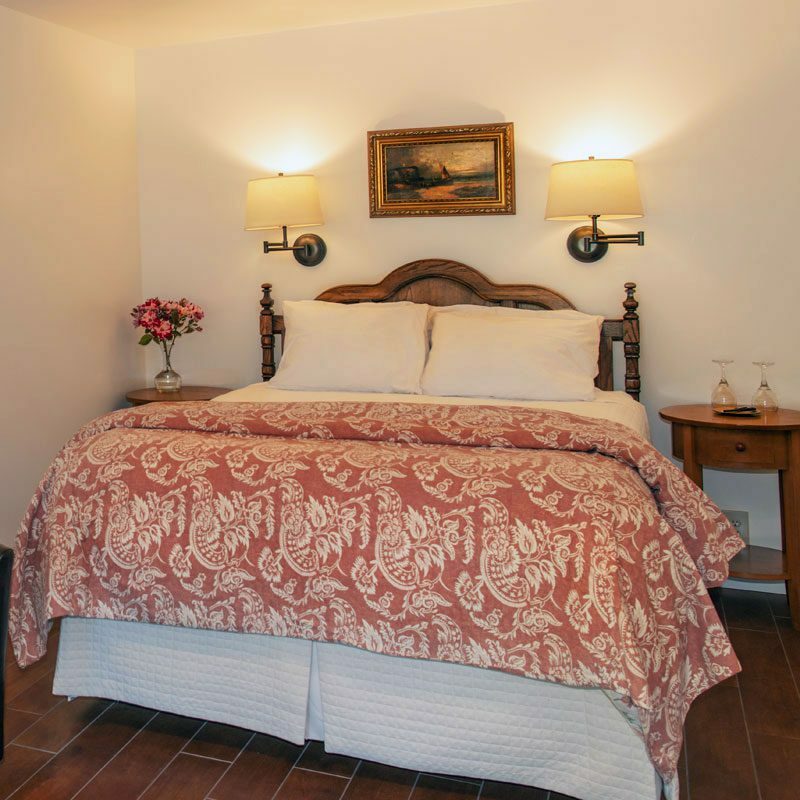 You’ll feel tucked away from the rest of the Inn in this ground floor corner room. A French door leads out to your private east-facing patio, the perfect spot to enjoy your morning coffee with a view of pastoral hills. The room has a large bath with vaulted ceiling.